DeepSQL is a relational database that leverages the industry standard MySQL interface combined with machine learning-based adaptability, providing NoSQL performance at NewSQL scale without requiring any application changes. DeepSQL is a relational database that leverages the industry standard MySQL interface that businesses already know and their applications currently use, without requiring application changes or a steep learning curve. 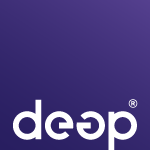 Using machine learning and new underlying data science, DeepSQL automatically adapts to the ever-changing database requirements of the applications, without human intervention. DeepSQL scales at NoSQL levels, into the hundreds of billions of rows, while providing NewSQL performance that enhances data loading times by 50X or more, increases transactional throughput by 5X or more and accelerates queries 2x or greater when compared to highly tuned InnoDB. Adaptive database with full ACID compliance that continuously optimizes in response to ever-changing data conditions without human intervention or going offline. Accelerate MySQL based ingestion by 60x, transactions by 5x and queries by 2x or greater while easily scaling into billions of rows without requiring a single application change. Unparalleled features such as hyper-indexing allow even greater performance options for new and existing applications.